307 IHeart: Stella & Dot and a GIVEAWAY! We have chatted here a couple of times about great ways to display and organize your jewels and bangles. And seriously, who doesn't love a little bling? Or a lot of bling for that matter? My recent sponsor addition, Heather, independent consultant for Stella & Dot, is popping in today to offer up IHeart Organizing readers a Stella & Dot jewelry giveaway! That means you can snag yourself some bling bling, or maybe wrap it up in a pretty bow for one of your close friends or family members for the holidays! They also just launched a collection of premium leather goods! 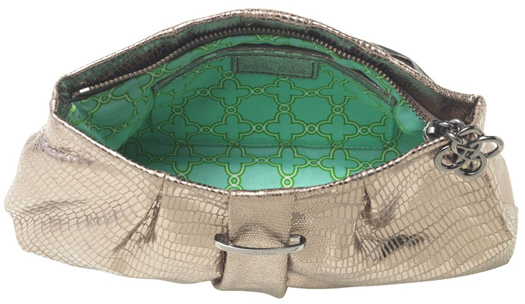 And don't worry, they have those little gems in your life covered as well, with a collection tailored just for girls! 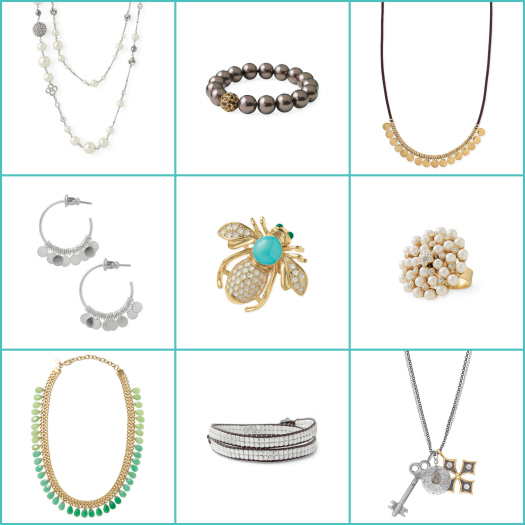 Giveaway is for $50 of Stella & Dot jewelry! Giveaway is open US and Canada residents only. Giveaway is open from Tuesday, November 1st through 9:00 p.m. central time, Monday, November 7th, and the winner will be announced right here on Tuesday, November 8th. Visit Heather's Stella & Dot page and leave a comment back here stating which piece of jewelry you would select if you win! "Like" Heather's Stella & Dot page on Facebook, and leave a comment back here stating that you did. From now through 11/15, Heather is offering free shipping on all items over $50! Also, if you are in search of a fun job where you can work as little or as much as you want with NO sales goals and where you have the opportunity to earn lots of amazing free jewelry and make some cash to boot, Heather is looking for new Stylists to join her team! $199 starts your new business and you also receive $350 worth of jewelry. Please visit Heather's site to learn more about becoming a stylist. I also love the Tudor ones too! I liked Heather on Facebook too. I love the Soiree Earrings! I love the Goddess Teardrop Earrings! I love the Infinity Charm necklace! I totally want all three colors of the eternity bands. I would choose the La CoCo Silver Pearl Strand. I love the chantilly lace chandelier earrings! I like Stella & Dot - Heather Telenko, Independent Stylist on Facebook. Totally loving the :LIV MULTI CHARM NECKLACE: - adorable! I LOVE S&D!! If I win I would buy the Caroline Pendant Necklace! I love the La Coco Silver Pearl necklace. It would go perfectly with my wedding ring. I ADORE Stella and Dot! My bestie has the Anabelle necklace and I've been eyeing it for weeks. So that would definitely be my top choice! Hope I win! I loved the Paige enamel bangle, the scallop and leather bracelet and the silk base I just love them all! I love the La Coco silver pearl strand and the Corso Hoop earings!!! I like the 3rd Time's a charm or Caroline pendant necklace! I would love the Medina Bib Necklace! I am loving the simplicity of the La Coco Rope Necklace! I love the Soho wristlet in black. Thanks for the chance to win! I LOVE the Audrey Cluster bracelet. So gorgeous! I'd love to win the Tatum necklace for my 6yr old daughter! I like stella&dot on fb. I love the stackable band rings and the chelsea necklace! I LOVE the Claire & Colette necklaces...GORGEOUS! I'm definitely loving the deco drop earings! I liked the fb page! This jewelry is so cute! I love the Nugget Wrap Bracelet. Super cute! I love the riviera coin necklace, the claire necklace or the infinity charm necklace...so hard to choose! I really love the Deco Drop Earrings - gorgeous! Definitely that bee brooch. Gorgeous! Love the Clover Double Wrap leather bracelet! Love the Amelia Drop earrings, although everything is gorgeous. I think i would have to get the stackable deco rings! Beautiful! I would definitely get the Soiree Stud earrings! I'd choose the Rio Coin Drop earrings. I love the silver nugget wrap bracelet! I'm always looking for COLOR in my jewelry to pump up my basic, clearance-rack clothing. I liked Heather's Stella&Dot on Facebook! 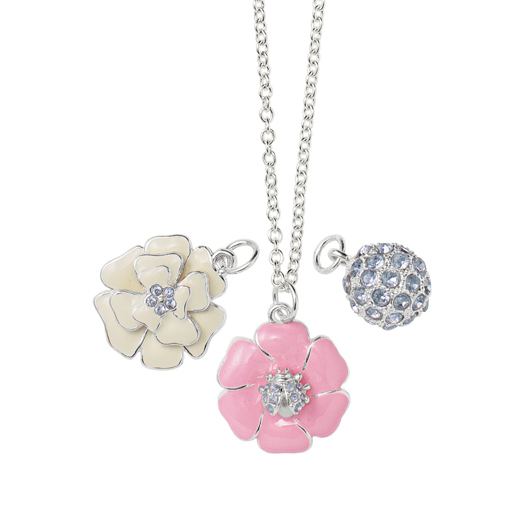 My favorites are the Dylan Necklace for girls and the Glint flower CZ necklace, so simple yet so amazing. I gotta have 'em! I "like"d Stella & Dot on Facebook! The Garden Party Chandelier Earrings-I'd get them for my awesome sister! The Ever After necklace is calling my name! I love the together forever necklace. Thanks for hosting this giveaway! Just "liked" her page on Facebook! I love the Signature Scallop and Leather bracelet! So cute! I liked Heather's Stella & Dot facebook page. I heart jewelry just as much as organizing! True story!....lol...but if I had to choose on piece of jewelry it'd be the "signature scallop & leather bracelet". I loved the stella vintage link bracelet. :( it's sold out! I also loved the Isadora pearl bib! I like the Glint Flower CZ Earrings! I LOVE the Riviera Coin necklace- gorgeous! I "Liked" Heather's Stella & Dot Facebook page. So many great things! I love the La Coco rope necklace!! I am loving that Bee Brooch. I really like the Claire necklace. i likethe estate chandelier earrings! Love the double wrap leather bracelets and the stackable rings! I liked Heather's FB page. I've had my eye on the Sunset Bangle forEVER - but it's just not in my "me" budget. Would love to win it! Thanks for the chance! I love the camilla ring for me and the kristin charm necklace for my daughter. Love the Colette necklace - but then I love anything with a bow! loving - liking - on Facebook - is it fair to love? I am in love with the Chelsea necklace! So striking! But I found a second love too - the Jewelry Roll looks fabulous. Thank you for the opportunity to win such a great prize. I would get my DD the Fiona headband and barrette set or the madie pearl earrings or the eternity band. Oh, I'd have a hard time deciding. love it! my favorite is the garbo link bracelet! My sister-in-law LOVES Stella & Dot. I would be so excited to buy her a pair of fabulous earrings for Christmas! If I won I would choose the Sunset Bangle. I love the colors on it! I really like the Soiree Pearl Pave bracelet and the Starfish earrings! I also like her facebook page. Amy W: I would choose the Signature Clover Chandelier Earrings. Visited her site! Would LOVE to win!! I love the La Coco Rope Necklace in turquoise with the added bee pendant. I have been wanting turquoise jewelry for a while. This one would fit the bill. I love the la coco chain. I love the La Coco Rope Necklace in Turquoise. I been looking for a turquoise necklace for awhile. This is beautiful! I <3 the Amelia Drop Earrings! I love, love, love the BAMBOLEO NECKLACE! I like the La Coco Silver Pearl strand. Thanks for the great opportunity to win! I am in love with the Contessa Jade necklace. Yes I really do like them on FB. I would do some shopping for my little girl! My favorites are the Dylan and Charlotte necklaces! So pretty. I like the Claire necklace a lot or the ribbon necklaces for my daughter! I have been coveting the La CoCo necklaces for some time and I would love to win! I would get the signature clover earrings! So pretty! I love the Mom Charm!!! I am loving delicate looking cuffs right now and love the scallop and leather bracelet and the nugget wrap bracelet. I would get the stackable rings! Great giveaway! I liked Stella and Dot on facebook. I like the Eternity necklace but would be happy with any of the pieces. I love the renegade cluster ring - a perfect party piece! Love the La Coco Rope necklace! So pretty and I've been looking for something just like it! I LOVE the River Lariat!! I want it!!! I like the Madeline Pearl necklace! I liked Stella and Dot on facebook! SO many gorgeous pieces! I think I would pick the Charlize Teardrop Earrings though - gorgeous!!! I like Heather's Stella & Dot Page on FB. I love the Bamboleo necklace!! I also liked the facebook page :o)!! I gravitate towards dangly earrings but I always seem to lose them! The GLINT FLOWER CZ EARRINGS are a rare pair of stud earrings that have me enamoured. I like Soiree Earrings. The studs and the drop-downs. I like Stella and Dot on FB. I love the Together Forever necklace, so pretty! I could see wearing that every day which is exactly what I've been looking for. Love the Chantilly Lace Earrings! I would choose the adrienne chain earrings. I would choose the Corso Hoops!! I heart the Soiree Trio Ring! I'm lovin' the LA COCO ROPE NECKLACE. My wardrobe has recently seen an influx of turquoise and this would fit in nicely. Iheart the Caroline Pendant Necklace! Well, like you sai, it's hard to pick one favorite. So my top 3 are the paige and sloane enamel bangles and the La Coco rope necklace in turquoise. Thank you for such a beautiful giveaway! I would get the Kristin Charm Necklace for my girls. Or the Belle Fleur Ring for me. I liked Heather's facebook page!! I like the Claire necklace and the Nugget wrap bracelet!!! I would be happy with either of those items!! All of them are soooo beautiful! I like Heather on Facebook! I love the bee pin. Sorry - forgot to include my email address! I love the Vintage Cluster Ring! I have a bit of an earring problem, so I'm always trying to pick out DIFFERENT items, haha. I am in love with the Marchesa necklace but I've had my eye on the fringe hoop earrings for forever! OOoohhh,I love the Madeline Pearl Necklace!! I have been drooling over hte garden party necklace too but it is gone SIGH..lol!! I really like the Nugget Wrap Bracelet in gold! I liked the Facebook page, and my email is kaitlynasykes@gmail.com. I "liked" Heathers facebook page as well! whoot whoot! haha! I love the pyramid double wrap bracelet. I love the Madeline Pearl Necklace. I Love the Goddess Teardrop Earrings! So beautiful! I would have a really hard time choosing between the Nugget wrap bracelet and the Toujours bracelet! I have also "liked" Heather's Facebook page! Love the contessa jade necklace, gorgeous! I L.O.V.E. the Ever After Necklace. It would be the perfect thing for my mom for Christmas! I love rings and the Belle Fleur ring is gorgeous! I love the Signature Scallop & Leather Bracelet!! I LOVE the Audrey Bracelet and necklace... want it so bad...... I just <3 Stella and Dot. I like the La Coco Silver Pearl Necklace! I liked Stella and Dot on FB and LOVE the STACKABLE DECO RINGS - SET OF 3! I "liked" Heather's fb page, and I would LOVE to have the Silver Bardot bangle bracelet. I like the pave bee necklace! I don't know if I could choose - they're all so pretty! I can't decide whether I like the Bamboleo necklace or the Carnival necklace more. I adore the Tudor Studs! I looked through all the earrings, and I kept saying, "Ooh, I'd definitely pick that one". Then I'd look on the next page and say the same thing 2 more times...So there are, like, 10 pairs of earrings I'd pick. I really like the starfish ones and the Azure chandeliers. I would either get the Camilla ring or some charms. I can't decide! I love the Adrienne Mixed Chain Necklace in Silver. Just beautiful! My pick is the Festival Til Dawn necklace. I love you can see all of the pieces on models. It makes it that much easier to fall in love! I would get the pave bee necklace...or maybe the bee broach. Too many cute choices! I liked Heather's Stella and Dot facebook page. I love the Coin Pearl earrings! pave eclipse or carnival necklace! I love the Signature Clover Chandelier Earrings. So cute! I liked Heathers Page on Facebook! I adore Stella & Dot! So hard to choose just one thing! But I think I would have to go with the Signature Clover Necklace. I love the Deco Drop Earrings! I would choose the Riviera Coin or Cascading Chain necklace. I'd put it towards the Signature Clover necklace - so pretty. I liked her on FB under the name Sally Daffodil. I LOVE the soiree studs....just beautiful!!! I "liked" the fagebook page!